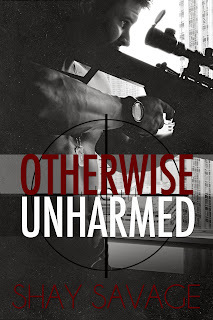 Shay Savage: Otherwise Unharmed Cover Reveal! Don't miss @savage_trainer on the cover of the next book in the Evan Arden Series! 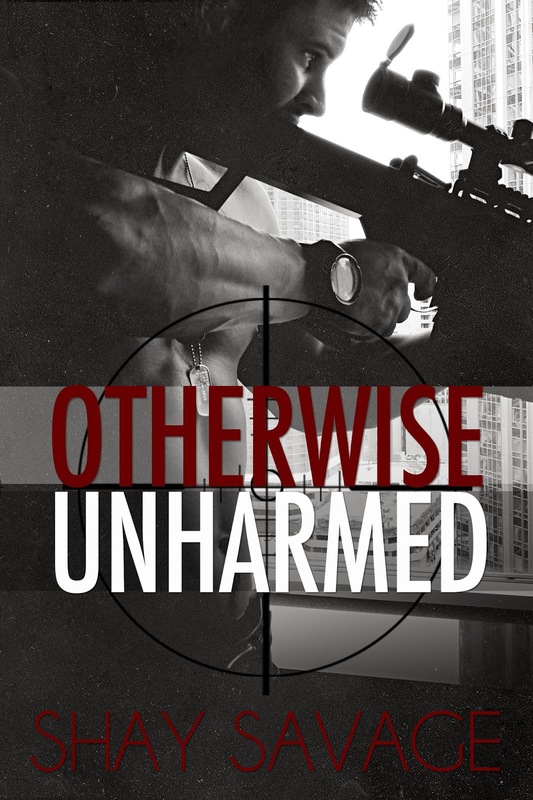 Otherwise Unharmed will hit Amazon on December 5th, 2013! My cheek rested on Lia’s abdomen, and I felt her hand against the back of my head, cradling me to her body. I had my arms wrapped around her center, and I held her close against my chest as I lay beside her on the small bed that reminded me too much of the one in the cabin. I didn’t move. I only inhaled deeply to embrace the scent of her. It was her own, sweet fragrance combined with the smell of our activity from the night before. I curled my fingers around her hip, touched my nose to the skin against her belly, and I inhaled again. My fingers reached up to briefly touch the quarter on its chain around her neck. I had to pee pretty badly, but it wasn’t worth disconnecting myself from her flesh, so I didn’t. I don’t know how long I stayed that way, eyes closed and just reveling in the sensations around me. At some point, Lia’s fingers twitched, then slowly started massaging my head, which caused me to moan out load. Lia’s soft laugh filled my ears. She kept it up, slowly dragging her fingertips from the top of my head, through my hair, and down to the back of my neck before she started all over again. “I could wake up like this every day,” I said. “I have to go to the bathroom!” Lia laughed. Watch for more updates, a video trailer, more pictures, and more teasers as the release date approaches!